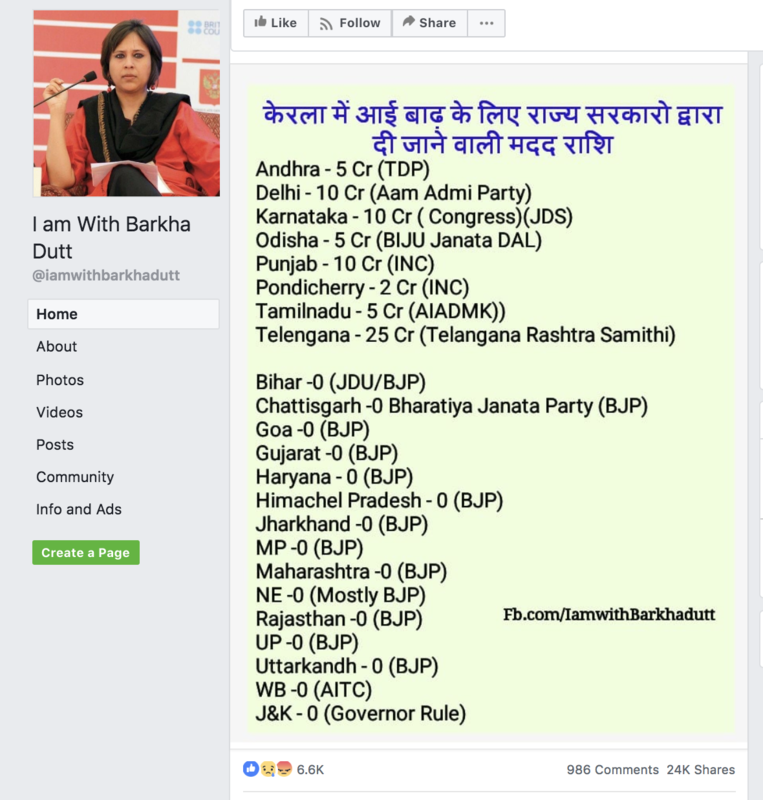 Sharing this picture of a post in the FB page “I am with Barkha“. The post seems to have been made 22 Hrs back and it is still making rounds on WhatsApp. I just got it shared by a few of my friends who are tooth and nail with BJP. As per current situation the information in the post is completely wrong. But the problem with the post is not just that it is wrong. Here is where the problem is. The post is not made to show which states have pledged money. Nor is it to show which states have not pledged money. But it is made just to drive the point that BJP led states have not pledged money. This is cheap politics and misinformation intended to create conflict among people. In India we have a problem with both rising Hindu fanaticism and rising islamic fundamentalism. And when it is about Moral policing, both religions have its hand tainted. There is also the pastoral cheating of the gullible on the Christian front. Yet there is a large number of secular Hindu, Muslim and Christians in India. But Vote politics or sensation seekers and cheap marketeers do not want to see that, secular people of any religion are not political assets, politics wants polarized fanatics of all religious and non religious denominations. But please people, not at my state’s expense.